We reduced Brian and Claire’s Inheritance Tax liability by £180,000, reduced their Capital Gains Tax liability to zero, and made sure they had enough income to last the rest of their lives. Brian and Claire are retired, having run successful businesses all their lives. Their family have taken over the businesses; Brian and Claire now live off pensions and investment income. Brian owns a lot of shares in one well-known multi-national plc and if he dies there would be a substantial Inheritance Tax bill. But he can’t simply give the shares away, because that would cause a large Capital Gains Tax bill. Anyway, he can’t give all the shares away, because the dividends provide a large proportion of the couple’s income. The most important issue is to make sure that Brian and Claire have enough money to live on. Having established in some detail their annual expenditure, we built a lifetime cashflow model, against which we could test any solutions. This allows us to make sure that they have enough income to cover any likely future liabilities, with scenarios for one or the other dying first, and not forgetting the possibility that long term care might be needed. We then recommended a two-pronged approach, to spread the various risks that are involved. One approach had a fairly low investment risk profile and generated enough income, but meant that Brian and Claire would have to survive seven years for this part of the plan to be fully effective. The other would be fully effective after two years, but involved a higher level of investment risk. 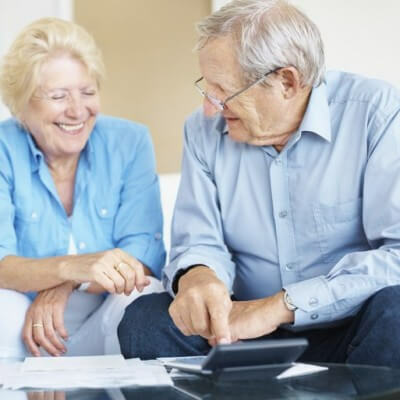 Selling a large chunk of the shares and combining two different financial planning solutions allowed Brian and Claire to massively reduce their IHT liability, without paying any Capital Gains Tax. We could have wiped out the IHT altogether but when the plan was presented at a family conference, everyone agreed that it would pose too high an investment risk and that a (significantly reduced) IHT bill was a price worth paying for peace of mind. Brian and Claire have a guaranteed income for the rest of their lives, they didn’t have to pay any Capital Gains Tax and their heirs face a much-reduced Inheritance Tax bill.